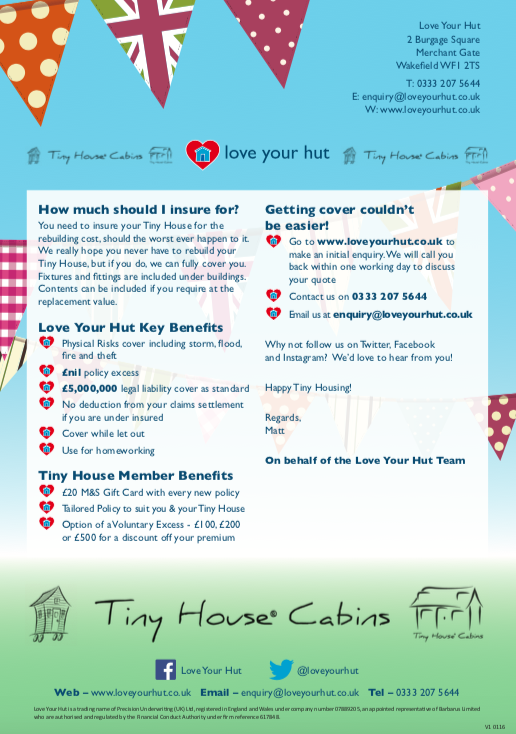 "Love your Hut" have worked hard to ensure that affordable, yet extensive insurance protection is available for you and your Tiny House Cabin. 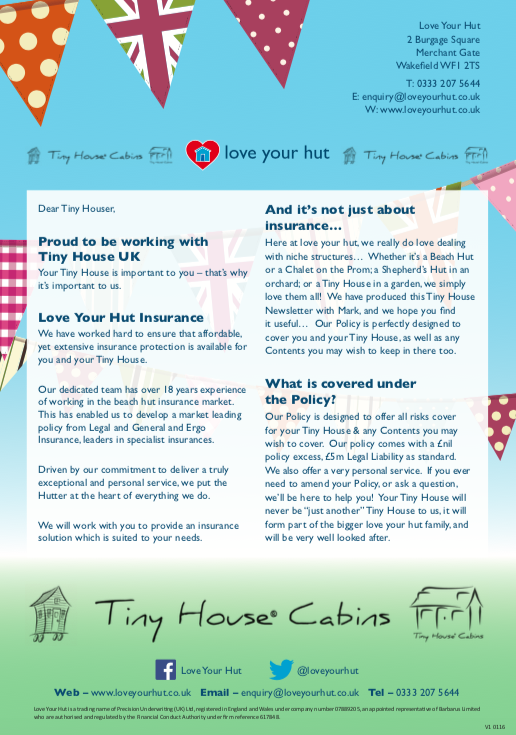 Their dedicated team has over 15 years experience of working in the beach hut insurance market. This has enabled them to develop a market-leading policy backed by Arch, a leading specialist insurer. Driven by their commitment to deliver a truly exceptional and personal service, they put the "Hutter" at the heart of everything they do. They will work with you to provide an insurance solution which is suited to your needs.